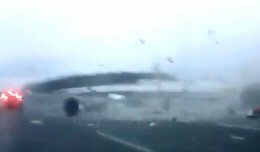 An hour after a massive 8.9 magnitude earthquake heaved the Pacific floor off the coast of Japan, security cameras captured the moment Sendai Airport was washed out by the ensuing tsunami. 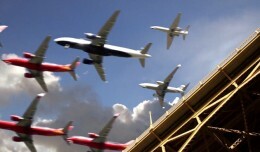 It is unknown if anyone was injured or if any aircraft were lost, but aerial news video above the airport showed people on the roof of the terminal. 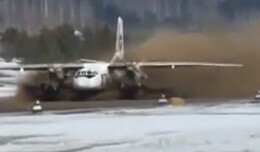 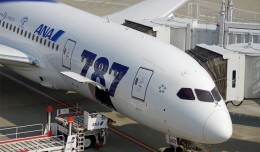 US and Japanese officials Saturday began analysing the black box of the 787 plane forced into an emergency landing this week. 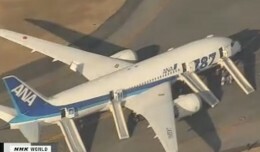 All Nippon Airways will ground its entire fleet of 787 Dreamliners after one of their planes made an emergency landing in Japan Wednesday.